Being a podcast guest is a great springboard to promote your brand. Not only that, it is a lot of fun and a great way to network. At the end of the day, you might even make some new friends. Do you want to be a guest, or have you been asked to be a guest on a podcast? If you’re like me, then the answer is yes, so let me share my experience. I have been listening to the RNFM Radio podcast for over a year, and many times thought about how fun it would be to be a guest. On January 4, 2017, I scratched one off the bucket list because they gave me a spot. 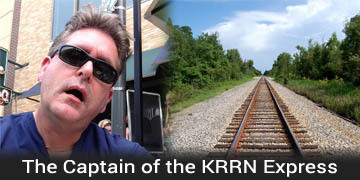 RNFM Radio was my 3rd guest appearance on a podcast. The theme of the podcast revolved around tech, but we touched on just about everything under the sun. In this episode, there is a little something for everybody. This blog is not intended to be a complete guide to being a podcast guest, but more of a starting point. I will include links to articles that will take you more in depth. A confirmation of the date and time the show will be recorded. A description of the software used for the host(s) to communicate with the guest. Hardware recommendations to ensure high-quality audio from the guest. A request for a short bio. Write your bio in the third person as the host will use it to introduce you at the beginning of the show. A request for several talking points you would like to touch on during the show. This will help the host make you shine by asking questions about topics you on which you are an expert. The host might include questions that are often asked of guests, if so look them over and think about how you will answer. A request for social media platforms you are on. A request for contact information such as email address and phone number. You are encouraged to promote your appearance on social media and on your mailing list if you have one. One of the reasons a podcaster has guests is to reach a wider audience, namely yours. Efforts to increase the listenership of the show makes for a win/win situation for you and the host. If the show host is well organized he or she will give you a deadline on when to get the requested information back. Your efforts to be thorough and timely help to assure the recording of the show flows well. If you have committed to a recording date and time, make every effort to keep your obligation. We all know that life happens, so if something comes up that precludes your ability to keep the appointment communicate this with the host as soon as possible. The host will probably have a backup plan so the more lead time you can give the better. Computer. This is glaringly obvious. You wouldn’t be reading this if you didn’t have a computer. Let me take this a step further. A computer that was made prior to 2010 may not have the horsepower to perform the tasks required for podcasting. Microphone. The podcast host and audience need to hear you and a microphone is what puts your voice into the computer. There are a lot of choices when it comes to microphones from the free built-in mic on your laptop to a cheap plastic $7 mic you can buy at Walmart to a $350 professional mic and preamp purchased from B&H. I suggest something in between. Don’t cheap out on the microphone. The built in mic on your laptop or a cheap Walmart mic will produce lousy and worst case unacceptable audio quality. If you’re reading this you are interested in being a podcast guest and intend to do it more than once. Plan on spending about $100 and you will have a microphone that will serve you well for years. The cheap plastic Walmart style mic. Price around $5. Don't use it even if someone gives it to you. 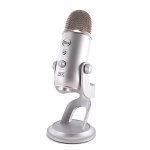 The Blue Yeti USB Condenser mic. Price around $100-110. This is a good quality/price value and will serve you well for years. 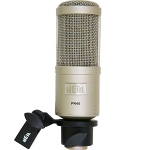 The Heil PR40 dynamic mic. Price around $350. One of the most popular models with podcasting enthusiasts. Headphones. A pair of over the ear headphones is best, but if you are on a budget and already own ear buds they will do. You need a way to hear the host of the podcast and yourself. Letting the audio play through your computer speakers makes for echo and at worst a screeching feedback disaster. Using headphones or ear buds prevents audio you are listening to from being fed back into your microphone. 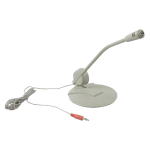 If you are a are a gamer or know one and have access to an all in one USB headset, that will work in a pinch. The headphones of over the ear gaming headsets are decent but most cut corners on microphone quality. While not the best solution, it is better than the computer’s built-in microphone or the plastic Walmart model. My personal preference is a separate microphone and headphone. Unless you are in the same room with the host of the podcast, a software program is required for communication between you and the host. One of the most popular is Skype. 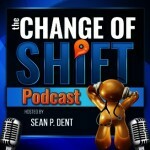 2 of the 3 podcasts I was a guest on used it, and it worked well. For the absolute best audio quality podcasters like to have each participant record audio locally. What that means is that your audio that is going into Skype is simultaneously recorded by recording software on your computer, or by a hardware recorder such as the Zoom H4. The guest transfers the locally recorded file to the podcast producer who puts it together with the host’s in a mixing editor. If you are new to podcasting, this part can make your head swim. Podcast hosts realize a lot of guests are not techy, and recording locally may be beyond the scope of guest’s expertise. Most of the time the podcast producer is fine with simply recording the Skype stream on the host’s end. This makes things simple for the guest. For an in-depth discussion of software used in podcasting check out Podcasting Basics, Part 2: Software. So you’ve been asked to be a podcast guest. The pre-show preparation is complete, the time and date are a go. Prior to the recording date practice using your microphone and headphones. Become familiar with the software that will be used for the show. I might even suggest communicating with the podcast host and setting up a time when you can establish a quick connection just to make sure everything works. On the day of recording have your station set up and ready to go at least a half hour before show time. Most hosts will connect with you ahead of the show to make sure you have a connection and that everything can go off without a hitch. The pre-show time is an opportunity for you and the host to have informal chat. If this is your first guest spot on a podcast this informal time is helpful in alleviating any nervousness you might have. When the show starts, relax and be yourself. There might be some dead air. You might stumble over your words. What differentiates a podcast from a live radio show is that a podcast is edited. Those little flubs you make along the way can be edited out. 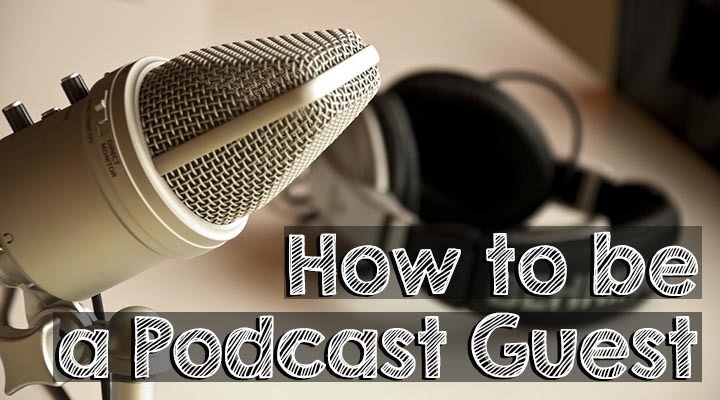 Being a podcast guest is a great way to dip your toe in the podcasting water without having to make a huge investment in hardware and software as well as the steep learning curve learning how to use it. You have been signed up as a guest because you have something to offer. With preparation your expertise and personality will shine. 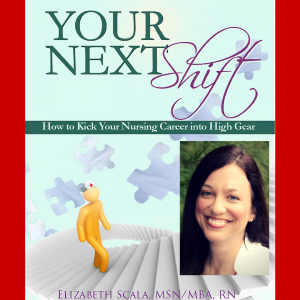 My second podcast guest spot was on Elizabeth Scala’s, “Your Next Shift” talking about career advice. Wow! Great post. This is so helpful. I ought to share this posts with guests coming on my show. I love it! Well done. Craig, it was a true pleasure and honor to have you on the #RNFMRADIO show, and we know you’ll be back with some expert tips/advice on some upcoming topics. The fact that you took so much pride and put forth so much effort on your end speaks volumes, and it’s actually easier on the listener that doesn’t have to turn up the volume because you’re not coming through loud and clear, which you certainly did amplify quite well. We are super stoked to have rung in the New Year with you and we can’t wait to continue to work together. Keep on rocking!